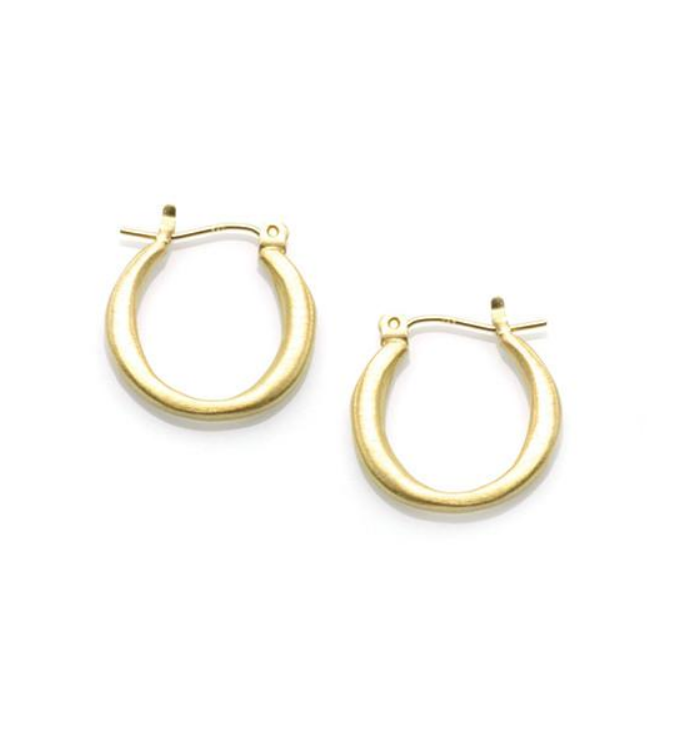 Lovely vermeil (gold over sterling silver) earrings with an organic shape and Philippa Roberts' signature brushed finish. About 3/4" in lengthIn 1996 Philippa Roberts established her first studio in the basement of her San Francisco apartment building. What started as a small, hopeful business has developed into a studio attached to her shop in Oakland, CA.